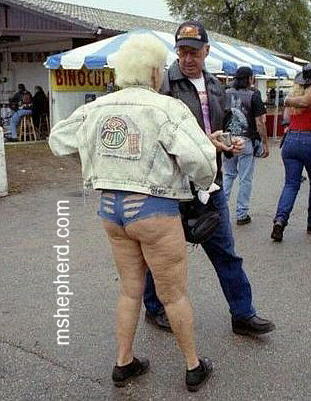 I’ve collected some more pix to share, allow me to apologize in advance to anyone about to be grossed out! Please don’t hold these against me, I’m just compelled to post them. Blame it on the “Shock Value” if you will! Dude… Dude… WTF were you thinking? Somebody needs to find this fella and tell him he owes me a new keyboard cuz I “blew chunks” all over it when I saw this pix! Argggggggg!!!! I’m Blinded!!! Have you no shame? 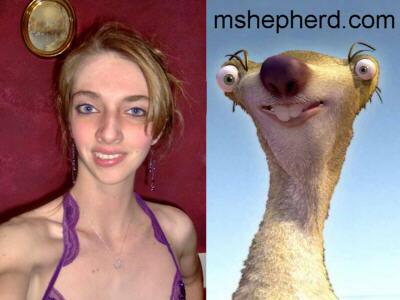 And finally, this one is for all you lovers of Sid from Ice Age. Oh my gosh I think the worse one is the Dude in the shorts!!!!!!!!!!!!!!! Now seriously what was he thinking??????? And can you imagine the front view????? WTF were you thinking of? This look like my brother Julio in the first pickture. WTF is up?